Here is the world's most famous master plan for seizing and holding power. Astonishing in its candor "The Prince" even today remains a disturbingly realistic and prophetic work on what it takes to be a prince . . . a king . . . a president. When, in 1512, Machiavelli was removed from his post in his beloved Florence, he resolved to set down a treatise on leadership that was practical, not idealistic. . . "The Prince" . . .has become essential reading for every student of government, and is the ultimate book on power politics. 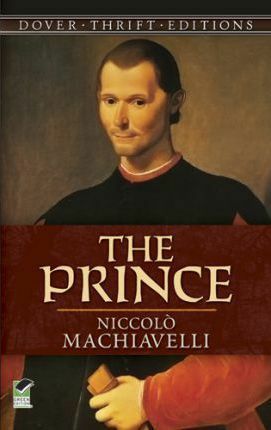 That Machiavelli's name has become synonymous with cold-eyed political calculation only heightens the intrinsic fascination of The Prince - the world's pre-eminent how-to manual on the art of getting and keeping power, and one of the literary landmarks of the Italian Renaissance. Written in a vigorous, straightforward style which reflects its author's realism, this treatise on states, statecraft, and the ideal ruler is essential reading for anyone seeking to understand how human society actually works. The father of modern political theory, Machiavelli proposed that theological imperatives have no place in the political arena -- a revolutionary concept for 16th-century Italy. Even though his philosophy is often misunderstood, Machiavelli's works offer fascinating insights into Renaissance government.